Am I the only one that felt this week seemed to be 10 days long! TGIF! Applesauce - Normally I make applesauce with my students a little later in the fall. This year, I made it today. Our students have been getting a lot of apples at breakfast, lunch, and fruit times. There have been tons of leftovers that I have been scavenging to avoid having to buy the apples myself. It worked well since this week we have focused on sequencing and I had a handout where they had to sequence the steps in making the applesauce. Sometimes everything comes together! 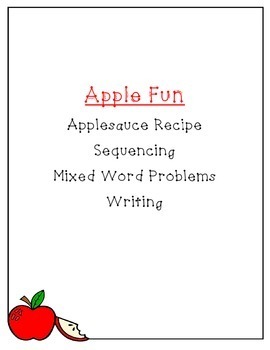 If you want to get everything to make applesauce with your class, click the pic below. Donors Choose - My Donors Choose project was funded and I already started receiving some of the items! Woo-hoo! It's like Christmas! Once I get everything, I will post pics! 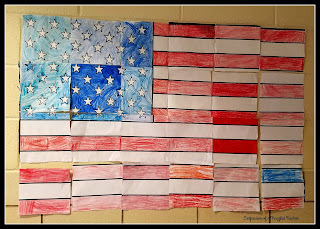 Flag - For 9/11, I had my students work together to create a giant flag for the hallway. I didn't realize how something that looked so easy could be so difficult. Overall, it came out well (except the one little blue stripe in the wrong place). FYI - This was a free download I found on TPT. 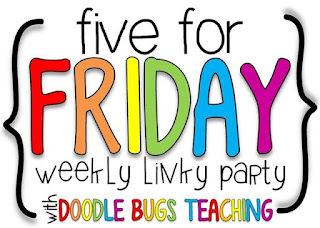 STEM Fridays - Last Friday I started STEM Fridays. Each week would be a different activity. This week we did one based on The Three Little Pigs. The students had to work in groups to build homes with "magic toothpicks." This was really tough. I had one group begging me to let them go on YouTube to find a video to solve this problem. 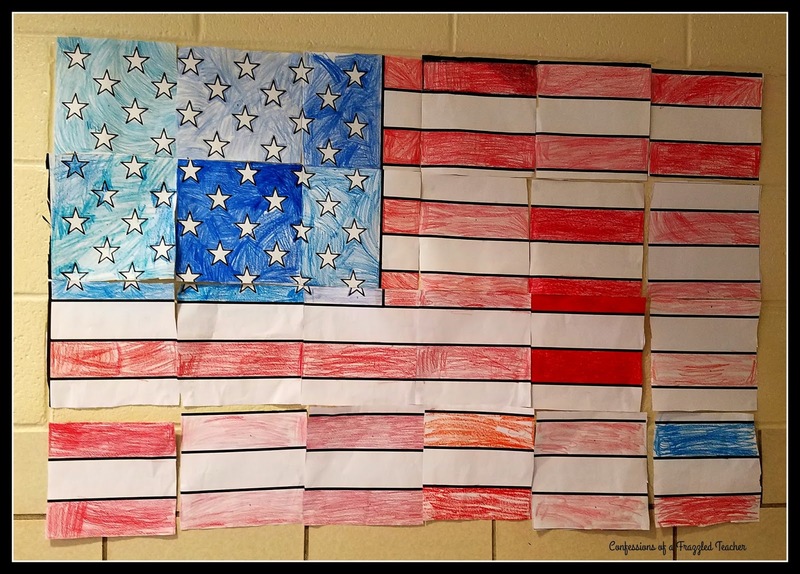 We definitely need to work on our creativity skills! Dollar Store Deals - If you haven't checked out my favorite dollar store deals, click the pic below to check it out! This is the final part in the series.